The Brain Injury Alliance of Idaho recognizes veterans returning from Iraq and Afghanistan with the complex traumatic brain injury issues. Called the “invisible wound” because a very serious injury can be sustained without visible indicators, TBI has been named the “Signature Wound” of the War on Terror. No brain injury is too small to ignore or too severe to lose hope. Shock wave blasts from improvised explosive devices, rocket propelled grenades and land mines are the leading cause of TBI for active duty military personnel in combat zones. Reports indicate that up to 20 percent of returning veterans exhibit symptoms of having sustained traumatic brain injury. Estimates point toward as many as 320,000 veterans of Operation Iraqi Freedom (OIF) and Operation Enduring Freedom (OEF) eventually sustain traumatic brain injury. However, it is not only recently returning vets who are living with brain injury. Many veterans of past conflicts are living with the effects of undiagnosed brain injuries, not realizing that avenues exist for them and their families to find answers. It is difficult to return home from an intensive combat environment. It takes a lot of understanding and patience on the home front as our troops adjust back to their previous lives. In many cases, they may never be completely the same. It is even tougher for those that have sustained a TBI during their combat tour, especially if they do not seek diagnosis and treatment. It is critical that the family members, close friends and co-workers of troops returning from combat understand and watch for TBI and post-traumatic stress disorder (PTSD) symptoms. Medical systems throughout the U.S., especially Veterans Affairs Medical Centers (VA), are seeing an increase in traumatic brain injury (TBI) patients since the start of Operation Iraqi Freedom (OIF) and Operation Enduring Freedom (OEF) in Afghanistan. Most people who sustain a TBI will experience temporary or permanent physical, cognitive, or emotional changes. 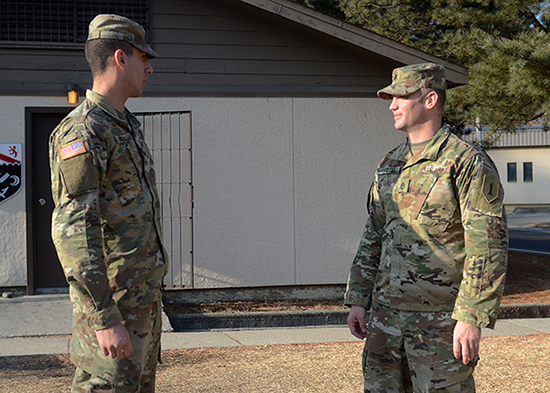 The VA is helping polytrauma survivors reintegrate into civilian life through a newly created polytrauma system of care. Centered in four Polytrauma Rehabilitation Centers (Minneapolis, Palo Alto, Richmond, and Tampa) and spread across the U.S. through specially designated VA hospitals, the system of care addresses patients’ complex medical, psychological, and rehabilitation needs, with a special emphasis on brain injury. Specialized services include inpatient and outpatient medical and rehabilitation care, and proactive, long-term case management. Service can also include long-term care for those who cannot return home because of the severity of their injuries.